We’re now almost three weeks into the new year, and it’s probably around this time that many of us begin to come to terms with the dreaded post-holiday blues, as well as looking at how our new year’s resolutions are going. For the majority of us, the most difficult resolutions to stick to are often regarding fitness, dieting and healthy eating. Not only do we struggle to stick to a routine, but with our busy schedules, we also forget to keep track of our fitness and eating habits, whilst also juggling work responsibilities and our personal and social lives. Additionally, actually going to the gym isn't for everyone, and many of us would prefer to have gym workouts – with or without gym equipment – within the comfort of our homes. 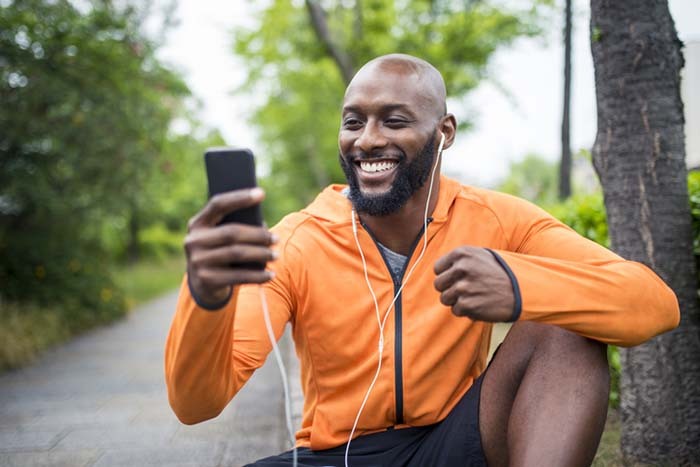 If all of this sounds familiar to you, read on for an overview of these nine fitness apps that will help you to stay on top of your new year’s resolutions – and make them a nice new habit for 2019! This is the first ever fitness and diet tracking app I’ve used, and I’ve been enjoying its privileges for a good few years now. 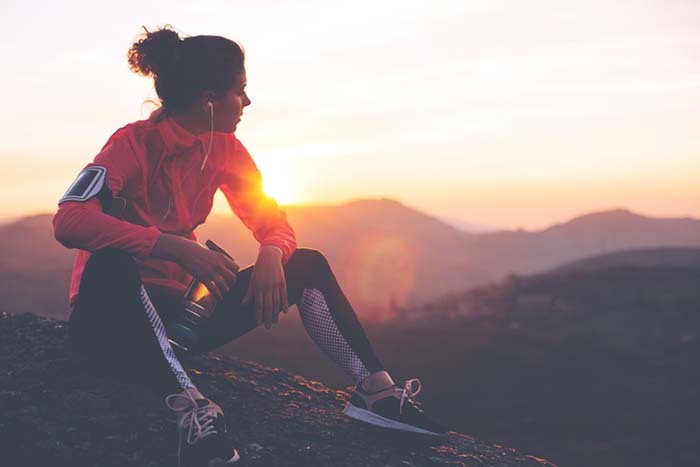 Keeping a record of everything you eat in a day, how many glasses of water you drink, and what workouts you do may seem a little daunting to some, however, once you get into the habit of doing so, you’ll begin to see real results – and that’ll feel mighty good. Whether you’re looking to lose or gain weight, the right number of calories and a good exercise routine is the way to do it. Upon joining, MyFitnessPal allows users to set a goal, which is usually how much weight they’re looking to lose or gain, and gives them the option of how quickly they wish to achieve this goal. The app also has a comprehensive database of foods which includes dishes from well-known restaurant and supermarket brands as well as home cuisines, allowing you to record your meals for the day. 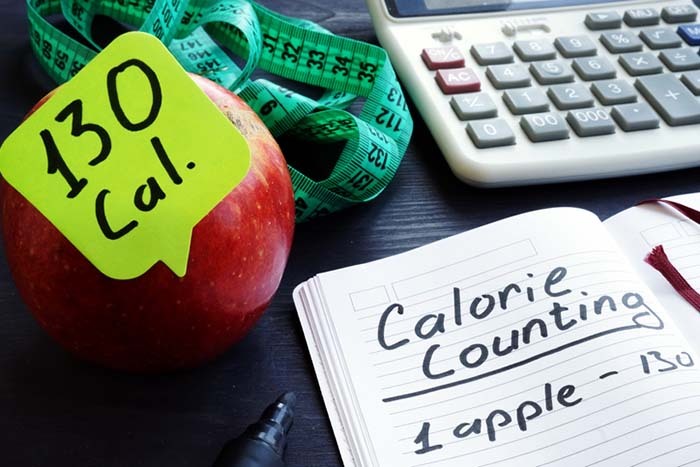 Also, depending on your daily activity levels, the app will be able to calculate for you exactly how many calories you’ll need to consume for that day. Your goal is to meet these requirements at the end of each day, and every time you do, you’re one step closer to achieving your goal for the new year. If that isn’t motivating enough, then I don’t know what is! MyFitnessPal can be downloaded for free on both the App Store and Google Play Store – so whether you’re an iOS or Android user, you certainly won’t miss be missing out. Perfect for those of you who will need to see it to believe it, the Daily Burn app is a fantastic option for hitting new year’s resolutions. After installing and setting it up, visually-motivated users are able to first complete an assessment in order to determine what exercise and diet plan will suit them, according to their personal goals and fitness levels. The list of workout videos and programs they can choose from is exhaustive, and includes strength training, cardio exercises, and even dance and yoga. Unlike FitnessPal, Daily Burn is only free to download and use for a duration of 30 days, after which you’re required to pay a monthly fee of US$19.95, should you continue to use it beyond your free trial. Unlike Daily Burn, Aaptiv is great if you’re more into the audio side of things and you love your podcasts. The app offers a wide range of audio-based fitness programs with music-driven workouts that include anything from cardio to yoga. It also lets users tailor their workouts to their specific needs and strengths, and each vary in length from a minimum of seven minutes to full exercise classes. The great thing about Aaptiv is that users are able to listen to these podcasts offline, which means that you won’t need a Wi-Fi connection to enjoy it. To some however, the downside is that it’s not free to download or use. From the get-go, it’ll cost you either US$14.99 per month, US$99.99 per year, or you could choose to invest in a lifetime membership, which will cost you a one-off payment of US$399.99. As the name very clearly suggests, Freeletics Bodyweight is free to download – and free to use, in that the only thing you’ll need to body-build is your God-given body weight! It offers lots of 10-30-minute workouts that don’t require any gym equipment, and each will be tailored to suit your personal needs and abilities, based on your body weight. Whether you’re a beginner or are already at an advanced level, Freeletics Bodyweight offers gym classes that target a variety of fitness levels as well as all the main muscle groups. As is the case with most of these apps, it includes a social feed through which you’re able to share your fitness achievements and milestones with other users. It’s available to download on both the App Store and Google Play Store. Strava is great if you’re someone who’s already into fitness, and could massively help to boost your motivation and activity levels for the new year. It records your day-to-day activity, including walking and cycling, and then presents it to you all in the form of stats (which are measured by distance, pace, speed, and calories burned) at the end of the week. For easy navigation, the app also features a vast database of all the different road and trail routes, which users are able to upload to their phones (or whichever device they’re using). You can also track other users’ progress on the Strava feed, as well as share your own, if you’re into that sort of thing. The app is free to download for both iOS and Android users. Let’s face it: to many, personal gym trainers are extortionately expensive these days, and probably always have been. Created by Nike, the Nike+ Training Club app is described by the company itself as the ‘Ultimate Personal Trainer’ – and it’s free to install and use for both iOS and Android users, so it’s perfect! 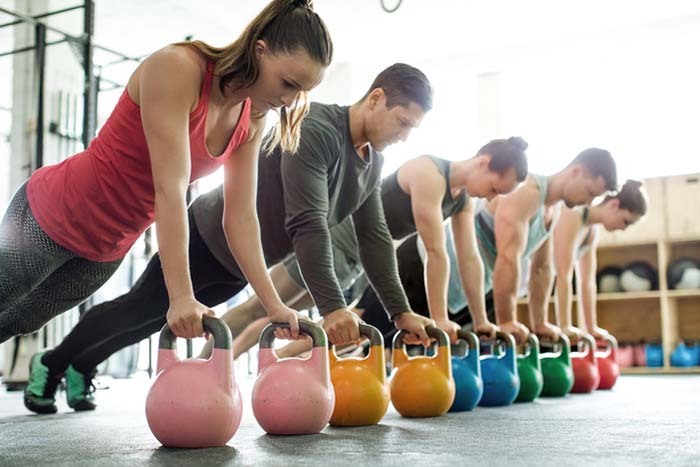 It includes a selection of strength and endurance workouts, as well as yoga and mobility classes, each with a concentrated focus on a specific muscle group, and lasting between a mere but effective 15 to 20 minutes. 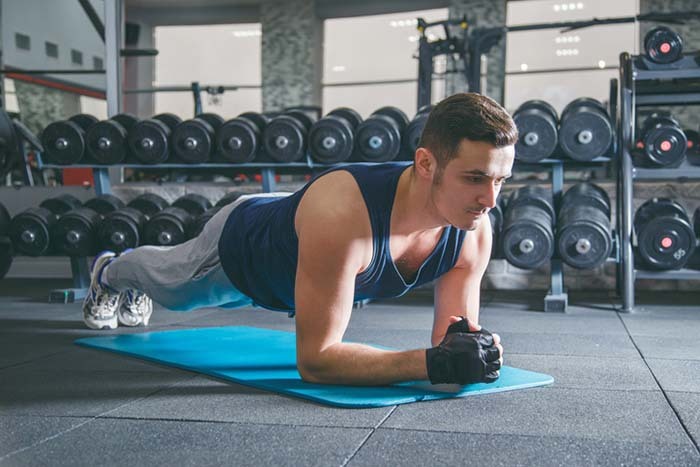 The other wonderful thing about these workouts is that many of them don’t require any gym equipment, and can be completed in the comfort of your own home. Another special feature in this fitness app is its host of celebrity personal trainers to guide you through your workouts, including Cristiano Ronaldo, Serena Williams, and Ellie Goulding – such an awesome idea. As I’m sure you’re aware, squats (when done properly) are designed to mainly target your glutes, but because a squat is a compound exercise, it effectively targets other muscle groups at the same time, including your quadriceps, adductors, calves, hip flexors, hamstrings, and abs – I know, wow! Unfortunately, they’re a lot harder to achieve than they look, but the good news is, The Perfect Squat Challenge app is here to make things a little easier for beginners and those struggling to perform a proper squat. 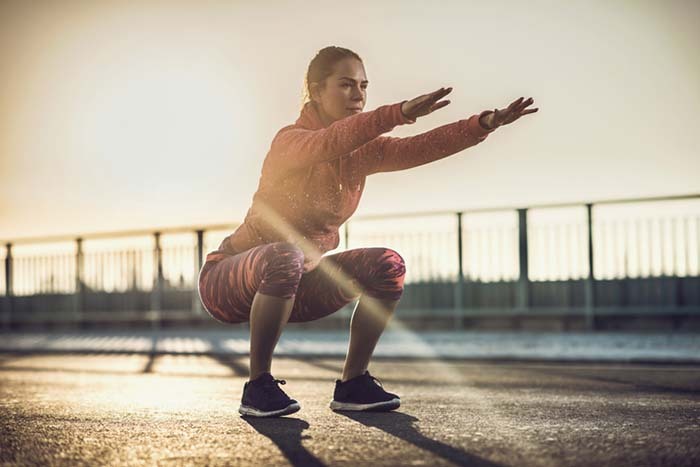 It was designed and developed using professional advice from physiotherapists and sports scientists, who came up with the perfect squat that most people can achieve. A very high-tech app, it apparently uses ‘artificial intelligence and motion-tracking technology’ to help users improve their technique – very fancy and so appropriate for new year’s resolutions! Sadly for Android users, The Perfect Squat Challenge app is only available to iOS users. One You Couch to 5K is a free-to-download fitness app designed for people who are at the beginning stages of their fitness journey. 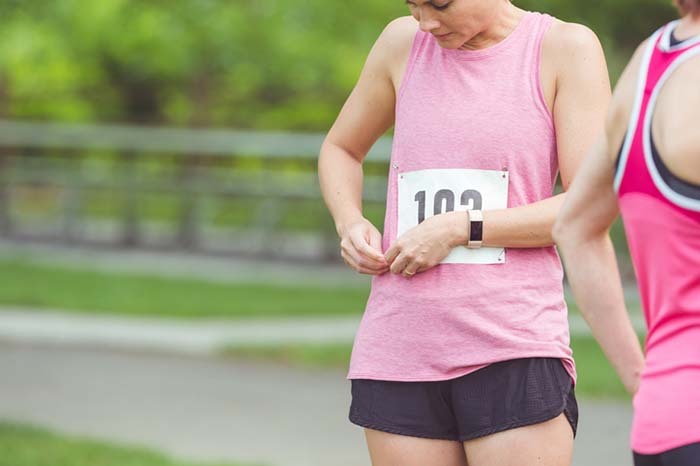 It combines running and walking exercises which, if taken seriously, should enable novice runners to run a 5k in as little as nine weeks – perfect if you’re training for a marathon! 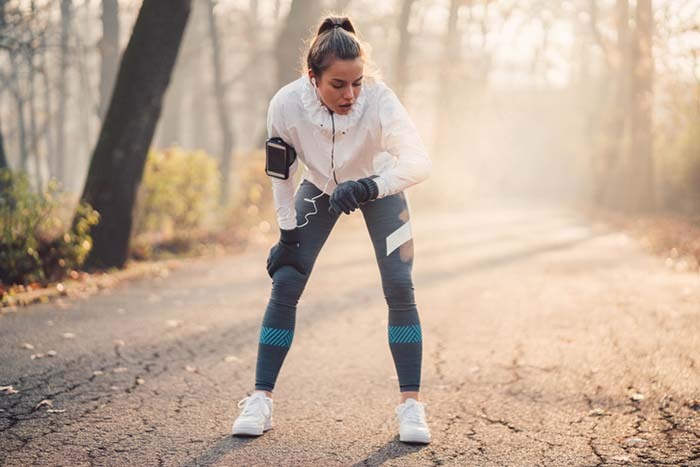 Similar to the Nike+ Training Club fitness app, One You Couch to 5K lets you choose from a selection of five celebrity trainers to guide you through, including BBC presenter Jo Whiley and Olympian Michael Johnson. Every time you successfully complete a workout, the app will track your progress and award you accordingly, providing you with tips and tricks for future workouts. Unlike The Perfect Squat Challenge app, both iOS and Android users will be thrilled to know that One You Couch to 5K is available in both the App Store and Google Play Store. Ever wondered what it would be like to earn a few pennies for every time you work out? Well, after downloading Sweatcoin, you can stop wondering. First launched in 2016, the app converts users’ fitness steps into currency units referred to as ‘sweatcoins’, which can then be spent on useful services, as well as products from over 300 retailers – including Boohoo and even Graze and Hellofresh, making it such an amazing yet economical way to invest in healthy snacks and fresh, ready-made salads and meals! Even better, Sweatcoin is available on both the App Store and Google Play Store – where you can happily download it, free of charge.